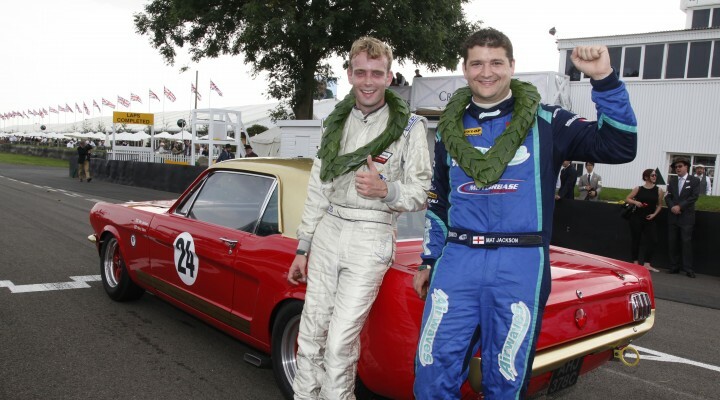 Mat Jackson has been in fine form throughout the 2014 Dunlop MSA British Touring Car Championship and he took that form into a starring performance at the Goodwood Revival last weekend. With 20 top ten finishes in the BTCC so far this season, including that epic victory at Knockhill last month, Jackson is currently lying sixth in the overall standings and second in the race for the Independents’ crown. The multiple BTCC race winner jumped out of his Airwaves Racing Ford Focus last weekend, however, and swapped it for a classic Alan Mann Ford Mustang. There has been little rest for Jackson since, however, as he was back in his BTCC Focus at Snetterton yesterday (Wednesday) as the Motorbase squad continue preparations for the final two events of the BTCC season.